Specialized understands that every watt is sacred, so they created the S-Works 7 Road Shoe to be their latest and greatest in power transfer while also maintaining superior comfort and undeniable style. These no-compromise road shoes feature a Powerline carbon sole, Specialized's lightest and stiffest carbon outsole to date, which was created by the same team that developed Specialized's Rider-First Engineering. 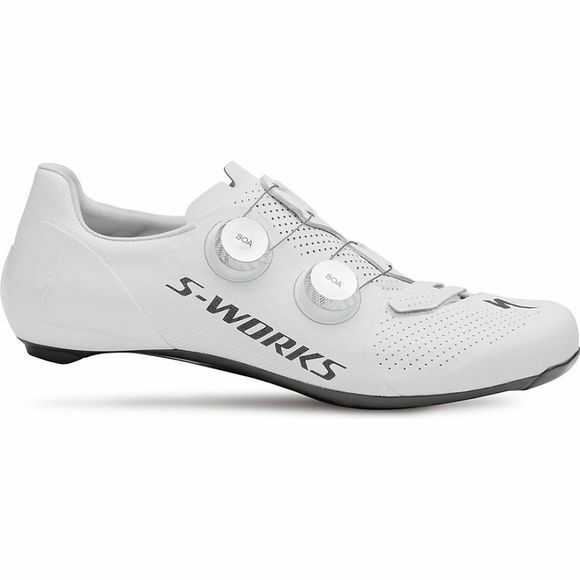 This version of the S-Works Road shoe presents a refined Padlock Heel with more comfort than the shoe's previous iteration but same exceptional heel hold. Dyneema, a space-grade material, was used in the upper to ensure that your foot stays where it’s supposed to and all of your effort goes into moving forwards at great speeds. To maintain this shoe's infamous levels of comfort Specialized kept the Body Geometry features that fans know and love, such as the Longitudinal Arch, Varus Wedge, and Metatarsal Button. All of these aspects were ergonomically designed in order to boost overall power and scientifically tested to increase efficiency and reduce the risk of injury. Never forgetting to add luxury and aesthetic, Specialized's designers created a form that perfectly complements the function. Rather than sewn seams, the 7's have seams that are bonded together. This creates cleaner lines as well as adding another layer of comfort through foot contouring. Some extra flair was added through the custom CNC’d alloy Boa dials, that also allow you to perfectly dial in your fit through durable spring clutch internals and precise, one-millimetre micro-adjustments. 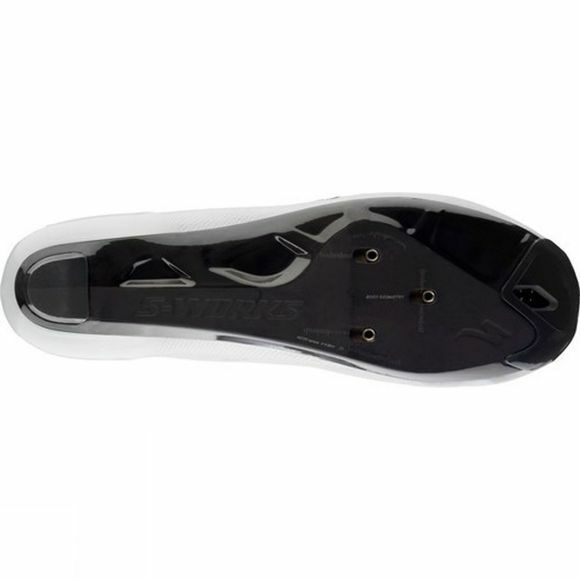 Transfer every bit of your power to the pedals with S-Works 7 Road Shoe. no compromises and no shortcuts—just explosive speed and superior comfort.